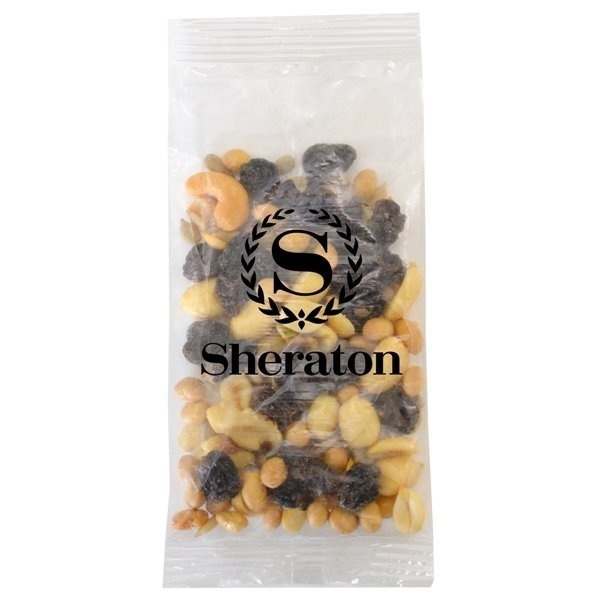 Large size bountiful bag promo pack with trail mix. The logo design looked great. Love love love this product. Can't say or think of anything I liked least about it. Quality seems good. The Imprint is ideal! I ordered this product a little over a week ago, and my order was delivered yesterday! Very nice feel. Speed from order taking to delivery, what we like most. Love the logo on it. Original design and incredibly sturdy!